The majority of the Mexican people are descended from both Spanish Europeans and Indians. This heritage is known as mestizo. 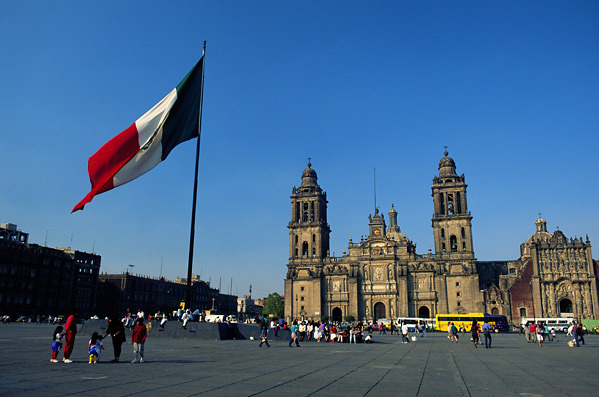 Almost all Mexicans speak Spanish, the official language of Mexico. Many Mexicans also speak an Indian language such as Maya, Mixtec, Otomi, Trascan or Zapotec as well. Eighty five percent of Mexicans live in cities or towns. In fact, there are eight cities with populations over 500,000. Mexico City alone is home to over ten million people. Other large cities include Guadelajara, Monterrey, Puebla, Toluca, Tijuana, Leon, Ciudad Juarez, Torreon and San Luis Potosi. Life in a modern, busy and densely populated Mexican city bears striking similarities to life in a US city. Cities are home to families who live in apartment buildings and houses. Mexico boasts an amazingly young population, since more than half of Mexicans are under the age of twenty. Mexico, (the United Mexican States), is composed of thirty-one states and Mexico City, which is the Federal District and capital city. Mexico is bordered by the United States to the north, the Pacific Ocean to the west and south, Belize, the Caribbean Sea and Guatemala to the southeast, and by the Gulf of Mexico on the east. Mexico is fifth in size in the Americas, and the 14th largest nation in the world. Mexico is the 11th most populated country in the world, with 109 million people. Mexico is considered a newly industrialized country. It has the largest GDP per capita in Latin America. The North American Free Trade Agreement (NAFTA) has caused the Mexican economy to be closely linked with the economies of the United States and Canada. Mexico is considered part of North America, along with Canada and the United States, even though according to some geographers, about twelve percent of its total territory is located within Central America. Mexico showcases two north-south mountain ranges, the Sierra Madre Occidental and Sierra Madre Oriental. These mountain ranges are extensions of the Rocky Mountains. Two additional mountain ranges run east-west. These ranges are called the Sierra Nevada and Sierra Madre del Sur. Central and northern Mexican territories are located at high altitudes. The three highest elevations are over 16,404 feet. Mexico City is located in the valleys between the highest of four elevations. Mexico has a very interesting and extensive history. Between the third and sixth centuries, the Empire of the Toltecs emerged in Mexico. The Empire of the Aztecs replaced the Toltecs by the thirteenth century. Spain conquered the Aztecs between 1518 and 1521. Insurrections occurred and declarations of independence were declared between 1810 and 1821, but independence didn't become lasting until 1822. In 1822 the Mexican Empire was created. The Empire included Costa Rica, El Salvador, Guatemala, Honduras, Nicaragua and parts of the United States. In 1823, Mexico became a federal republic called the United Mexican States. The Central-American states separated from Mexico. Later the United Mexican States lost their Northern Territories to the United States. In 1864, Mexico became the Mexican Empire. In 1910, economic and social issues prompted a 10-year revolution that prompted the creation of the 1917 Constitution. Between 1940 and 1980, Mexico experienced the "Mexican Miracle," a period of strong economic growth. By 1988, the dominant Partido Revolucionario Institucional (Industrial Revolutionary Party, PRI), strong since its inception in 1929, began to weaken. In 2000, Vicente Fox Quesada of the Partido Accion Nacional (National Action Party, PAN) was elected. Since Mexico is bounded by seas and blessed with a mild climate, beaches are a key attraction. 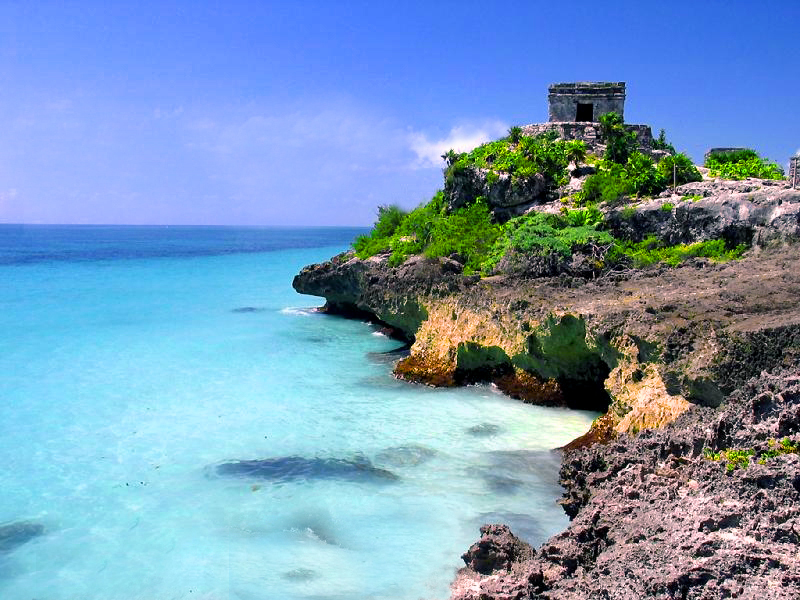 Mexico has approximately 450 beaches to explore and enjoy. 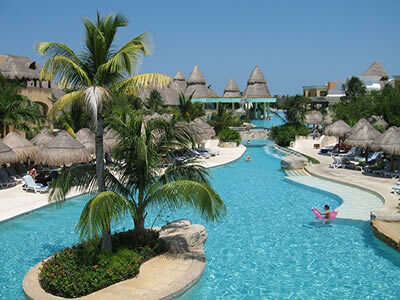 Along with the beaches, you can enjoy beautiful resorts with extensive services including spas. The five most impressive beach destinations are Los Cabos, Acapulco, Cancun, Puerto Vallarta and the Mayan Riviera. Each of these destinations offers unique aspects that are sure to delight. Beyond the beaches, Mexico offers fantastic attractions. The top attractions are Chichen Itza Teotihuacan, Palenque, Frida Kahlo Museum, Uxmal, Yaxchilan, Ballet Folklorico de Mexico, El Tajin, Bullfights and Tulum. Chichen Itza is a former Mayan capital that features the Temple of Kukulcan, the Grand Ballcourt, and the remains of the Temple of the Warriors. Teotihuacan is an ancient city that housed 200,000 people in AD 400. that was abandoned 300 years later. At the time, it would have been the largest city in the Americas. Mexico offers a varied and active nightlife. Mexico City features venues of many different kinds, including musical clubs that offer a gamut of musical genres and a vibrant club scene. Floor shows and bars with Mexican musicians abound. 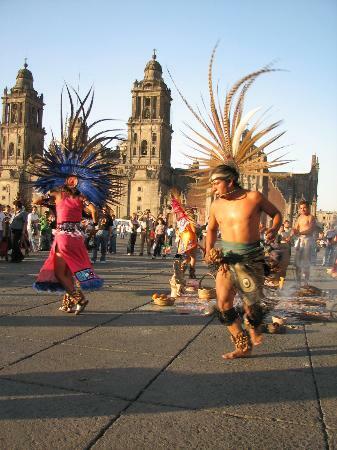 In Guadalajara, nightlife includes dance and mariachi shows and plays. In Acapulco, you can seek out the popular dance clubs. Some clubs even have windows to the beach that allow you to see the coastline while you party. Cancun boasts the largest nightclub in Latin America called The City. You can also join a nightlife tour that offers club-hopping for added variety. Cabo San Lucas is more relaxed and offers casual bars and a lounge scene. Puerto Vallarta offers cultural shows such as mariachi and traditional Mexican bars. Today's Mexican culture is varied. Since eighty-five percent of Mexicans live in cities with populations over 200,000, most Mexicans live a contemporary lifestyle similar to that experienced in the United States. Mexican villagers living in less densely populated areas experience life through older traditions. Ninety-five percent of the Mexican population are Roman Catholics, second only to Brazil in Catholic population. Mexico is known for its folk art and pre-Columbian architecture. 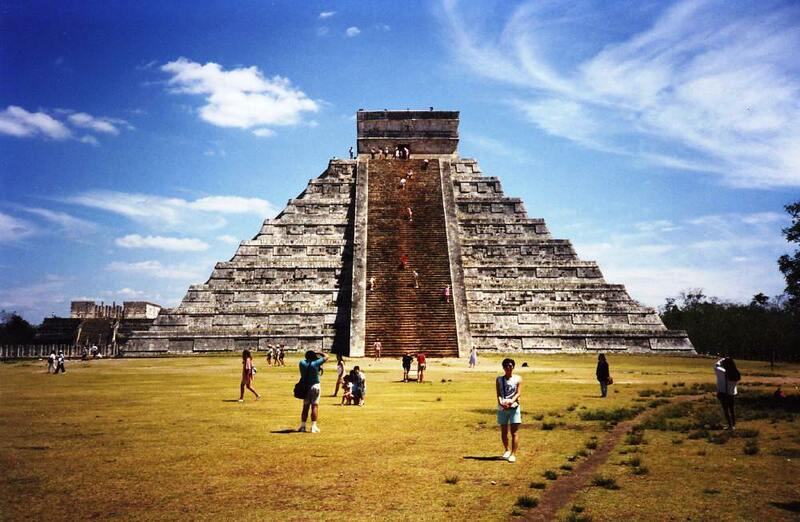 Mexico has twenty-nine UNESCO World Heritage sites, the largest number of sites in the Americas. Mexican music is varied. Traditional Mexican music includes Mariachi, Banda, Norteno, Ranchera and Corridos. Contemporary music such as pop and Mexican rock is also prevalent. Mexican cuisine is well-known and popular throughout the Americas. Today's most widely recognized and enjoyed Mexican foods include tacos, quesadillas, enchiladas, burritos, tamales and mole. Most Americans have enjoyed these spicy dishes and often count these foods among their favorites. More traditional native pre-Columbian foods include maize, avocado, papaya, pineapple, beans, limes, peanut and turkey. Regional dishes include chalupa, chiles en nogada and mole poblano from Puebla, machaca from Monterrey and Tlaydas from Oaxaca. The Spaniards augmented the native cuisine with their diet of rice, beef, pork chicken, garlic, onions and wine. This combination of tastes and flavors forms the roots of modern-day Mexican cuisine.